Rooting the LG Optimus Black is necessary if you want to install any of the root-requiring applications from the Google Play Store like the Greenify app, any custom kernel from XDA Developer threads, any custom ROMs made by third-party developers like the CyanogenMod team, or even if you want to install a custom recovery. Those of you who are more interested in installing custom ROMs or taking NANDroid backups will want to check out our post on how to install CWM recovery on the LG Optimus Black  smartphone after finishing the guide for rooting. You must have updated to the Android 2.3 software update to have this guide working. You can check the software version on your smartphone by navigating to the Menu > Settings > About Device > Model Number. You must have a Windows PC to use this guide with the Gingerbreak exploit. We do not guarantee this works on other operating systems like Linux or Max OS X of any kind. We hope you understand that you are about to void the warranty by following this guide. That’s significant because it means you won’t be sending it away to LG for any free repairs — even if you paid for a warranty. As we previously mentioned, this will void the warranty. 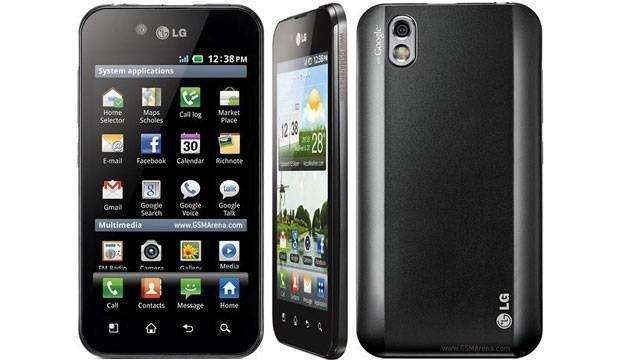 You will need to enable both the Unknown Sources and the USB Debugging Modes from your LG Optimus Black’s settings. Here is how to do that: Tap the Menu > Settings > Security > Unknown Sources to turn on the ability to install application from outside the Google Play Store. Now come back to the Settings and tap on the About Device menu. Once done, tap over the Build Number seven times and it should now say you are using the LG handset as a developer. Lastly, tap the Menu > Settings > Developer Options > USB Debugging and the USB Debugging Mode will now be turned on and ready to use. Download the Gingerbreak exploit from this link . Drag the Gingerbreak from its default download location over to the desktop of your computer. Connect the LG Optimus Black smartphone to the computer with the USB cable and copy the Gingerbreak APK file over to the root of the SD card internal storage. Open ‘My Files’ on your smartphone and install the Gingerbreak APK so it turns into app form on the device. Launch the Gingerbreak app by tapping over the same and then tap the ‘Root’ button you can see from the main page within the application. Exit the app and reboot the smartphone before doing anything else like entering the Google Play Store. You should now find the Superuser app available from your app drawer. That same Superuser app is incredibly important to your device. It’s the app that is granting root access to the app you want to have root aces to work. Furthermore, it’s also stopping any apps from automatically having root access to the internal system. That means no virus or malware can jump in your system unless you tell Superuser it can.